Who don’t love Sparks? I suppose the folks who don’t know who Sparks are might not love Sparks, but that’s only because of plum ignorance. But REST EASY, reader — we’re here to set you straight by reviewing ALL the Sparks records — and not just by one, but TWO (and maybe occasionally MORE!) Die-Hard Sparks Fan Reviewers. We shall be your guide into the wonderful world of Mael. Check it out! Rev. Syung Myung Me: And this brings us UP TO DATE. Which is kind of weird, considering. The Seduction of Ingmar Bergman is yet another departure for Sparks — in fact, it’d probably be a departure if it wasn’t a departure, seeing as they rarely stick with one style for more than three albums. This one, though is perhaps the most different as it’s not a normal album — it’s a radio musical. It was commissioned by Sveriges Radio, the Swedish equivalent of the BBC. The Maels were given a pretty wide berth — the only requirement was that it had to have something to do with Swedish culture. Being film fans, they wrote a tale of Ingmar Bergman being transplanted to Hollywood loosely based on their friend and one-time collaborator Jacques Tati’s own experiences. The story does seem a little rushed — like it could have used about another half hour’s worth added, but the good thing is, apparently it’s going to be made into a film directed by Guy Maddin. Hopefully that means that the story will be brought up to the standard runtime of a film — which’d work out perfectly as the album’s only a little over an hour long. Also, the album answers the question “Why doesn’t Ron Mael sing on any of the records?” — but, in a weird way, his limited vocal range works on the small roles he plays — and adds a kind of amusing “Oh, here, I guess folks are singing now?” feel that would probably happen if music came out of nowhere and you were expected to communicate in song. Russell’s vocals are outstanding as always, though sometimes he seems a little muted in the mix — there were a few times in “The Studio Commissary” that I had to roll-back to hear the lines. (I left my liberetto with the LP box set, which is, unfortunately across town from me right now.) The lines, of course, are as clever as anything Sparks have done, just this time in service to a story. While I’m looking forward to the film, I hope that the next Sparks album is a, well, album. Although, if they go the Trey & Matt route and become Musical Theatre Superstars, it could be worse. Sparks aren’t just dipping their toe in a genre they don’t know — they know what they’re doing and have written a great musical — any objections on my behalf are from my prefernce for the album form than the musical form is all. But I’ll be sure to buy any future long-form projects from Sparks, including the Playbill, the Original Cast Recordings and the T-shirt. Aila: The Seduction Of Ingmar Bergman is the latest in a long line of stylistic reinventions for Sparks. This time, it’s in the form of an oddly-themed audio play. The results are mixed, depending on what you’re expecting to hear (hint: for best results, don’t expect a Sparks album). The theme of the play revolves around a bizarre fantasy of Ingmar Bergman being whisked away to California at the height of his career, to be seduced by various sleazy Hollywood types in an attempt to get him to make a ‘big American movie.’ Alongside an assorted cast of actors, the Mael brothers play prominent roles in the drama. In some ways this is a bit of a disappointment, because a lot of the songs aren’t sung by Russell Mael (but of course they couldn’t be in this context). In fact, aside from the various and highly competent cast members’ vocal parts, Ron Mael ends up doing quite a bit of singing himself. Which isn’t to say there aren’t plenty of excellent vocals to be enjoyed, but to be honest, of the two Mael brothers, Russell is the one who can sing, so it’s a good thing he did an at least reasonable amount of it on this record (although, to be fair, Ron’s parts are mostly sing-songy spoken bits which actually kind of suit his voice). The pieces of music on this album (soundtrack?) are of course excellent, but it’s a bit difficult to latch onto particular tracks – the twenty-four tracks that make up the cd are obviously meant to be listened to as a whole. That said, there are a few tracks that wouldn’t seem too out of place on ‘normal’ Sparks albums of days gone past. Some obvious choices include the almost-a-rock-song “Mr. Bergman, How Are You?,” the upbeat “The Studio Commissary,” the ballad “We’ve Got To Turn Him ‘Round,” and the closer “He’s Home.” There really isn’t any music I don’t like on this album, but for the most part, it doesn’t exactly consist of songs – it’s a play (a musical play, but a play). 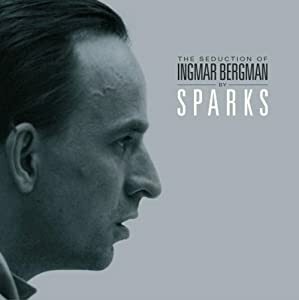 If you approach The Seduction Of Ingmar Bergman as something other than ‘the most recent Sparks album,’ it can and should be enjoyed quite a bit. However, in the context of the amazingly large and (nearly always) consistently high quality library of Sparks records, this isn’t really my cup of tea. I’m sure I’d enjoy it quite a bit if I saw it staged as a play, and I’m looking forward to the planned film version, but it’s definitely not one I’m likely to come back to and listen to over and over like so many Sparks albums before it. For what it is, it’s very very good, but I certainly hope that the future holds at least a few more Sparks albums featuring the usual (and unusual) self-contained songs. For Sparks Fans, List Geeks, and Anybody Else: Top 130 Sparks Songs! Wild Strawberries – Ingmar Bergman and the ‘Breaking Down Bergman’ series.